A previously unheralded part of cult movie spectrum finally gets its due with this fun, flashy documentary. Not Quite Hollywood is often as entertaining as the B-movies it chronicles because it never tries to get too serious or analytical. Instead, it works as a free-wheeling and lighthearted chronicle of people who took a stab at putting their own stamp on international movie culture and had a fun time doing so. This approach is greatly helped by the participants: people like Barry Humphries and Brian Trenchard-Smith are natural raconteurs and their witty tales of making their films lend an engaging feel to the proceedings. From tales of Dennis Hopper's wild behavior on the set of Mad Dog Morgan to the tormented tale of the production of Razorback, there's plenty of intriguing tidbits that even veteran fans of Aussie films might not know about. Non-Aussie filmmaker Quentin Tarantino also chimes in with some interesting fan-level observations that help establish a context for those not familiar with these films. Director/writer Mark Hartley gives the tales of interviewees an appealing framework by keeping the pace fast and punctuating the narrative with plenty of outrageous clips from the movies being described. 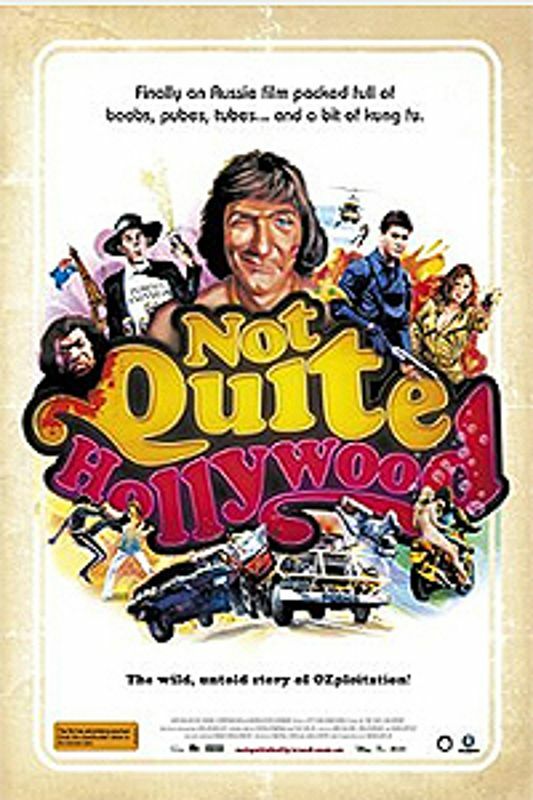 In short, Not Quite Hollywood is a blast because it captures the go-for-broke spirit of the films it discusses and this makes it an ideal introduction to the world of "Ozsploitation.."